You want to get somewhere and you thought the highway would be the quickest way there. You found out too late that a traffic jam has forced vehicle speeds down to a crawl. No matter what your plans may have been, you are going nowhere fast. As big as a pain as this might be, Boca car accident lawyer Joe Osborne says, the fact is that vehicles coming from behind you may not stop in time to avoid crashing into those stuck in the traffic jam. An accident on Interstate 75 south of Ocala earlier this month involved nine vehicles and left one person dead and several people injured, according to Ocala Star Banner. The Florida Highway Patrol reports that southbound traffic stopped because of a crash ahead. As drivers waited for that accident to be cleared, a semi truck coming to the scene failed to stop, drove off the highway, hit a guardrail, sideswiped a minivan and FedEx truck and struck six more vehicles before coming to a stop. The accident happened shortly before midnight on July 14 and it took about ten hours to clear all the wreckage. Negligence is often at the heart of why these kinds of accidents happen. Many times in these situation drivers just aren’t prepared to stop in time to avoid striking vehicles slowing down, or stopped, ahead of them. They may be driving too fast, too focused on getting where they want to go and not prepared for the fact traffic could stop in front of them at any time. This crash happened in the evening so it may be more likely drivers are dozing off, asleep or simply distracted because they’re tired or fiddling with an app on their smart phone hoping to find an alternate route around the tie up. By the time they understand what’s going on it’s too late to act and avoid a crash. In the case of a semi-truck under ideal conditions if it’s going the highways speed it could take more than 500 feet (or almost the length of two football fields) for the truck to stop. So a truck driver needs to pay attention not only to the traffic directly around the truck but also to what’s going on more than 500 feet ahead. In this accident, the driver may have driven off the highway to avoid colliding with more vehicles, but severe damage was done, including the death of one person and injuries to several others. If the truck isn’t properly maintained and the brakes fail that can also lead to an accident at a traffic jam. If the truck is overloaded it will take a longer distance to come to a stop. If cargo in or on the trailer isn’t properly loaded or tied down and the driver slams on the brakes the truck could jackknife, roll over or cargo could spill off the trailer and onto, or in front of, other motorists on the highway. 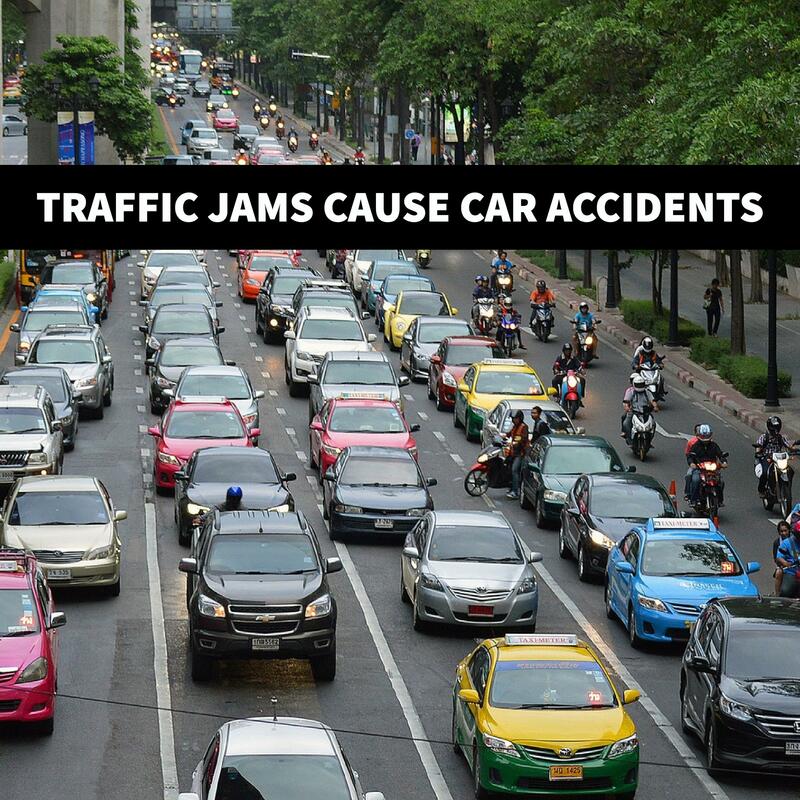 If you or a loved one have been injured in a car accident caused by a traffic jam, contact Boca car accident lawyer Joe Osborne at (561) 800-4011 or fill out this online contact form. You can discuss your case, how the law may apply and your best legal options to protect your rights and obtain compensation for your injuries.